So you're looking for a Fender but don't know what to choose... We've all been there! When it comes to comparing models of guitars, this is arguably the age old question… What to choose between a Strat and a Tele? For the purpose of this review, we’ll be focusing on the classic styles of both guitars, so you know how to make an informed decision based on what you can expect from each. Naturally, we’ll be breaking down two of the most common kinds of Fender guitars, and will be going into detail about which type of guitar suits certain playing styles, levels of ability, preferred genre, and even your approach to the guitar. Anyway, enough of the intro. Let’s get in to what you came for. 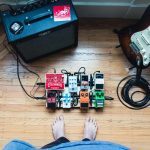 The most blatant difference is that the Stratocaster has three pickups and the Telecaster has two… but what difference does this actually make? 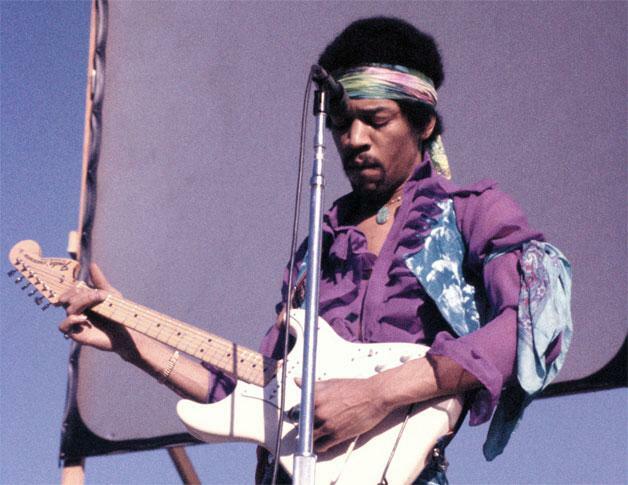 First, and the reason that we love the Stratocaster for its versatility, is that with the added pickup there are so much more tonal varieties and unique sounds that you can get out of the Strat. 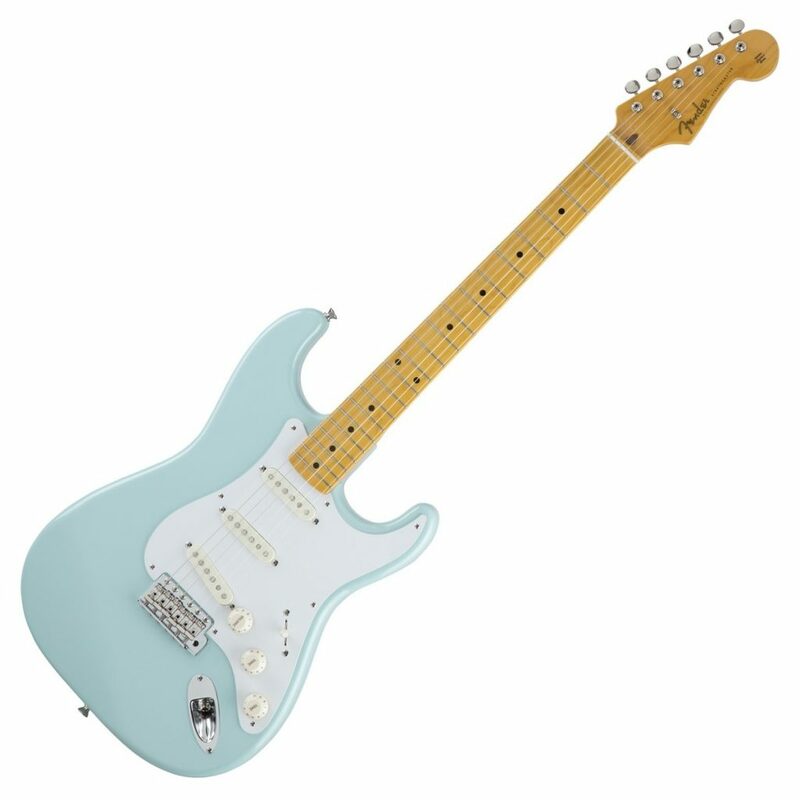 Stock pickups on an American Standard Stratocaster come with 3 single coil pickups unique to Fender, positioned at the neck, middle and bridge positions. The triple pickups alone for a greater number of controls, which are Tone 1, Tone 2 and Master Volume pots. The bridge position is perfect for those scorching blues solos, without pushing the tone too much into the high end which is indicative of a guitar that’s worth its salt, Switched back to the neck and the Strat really comes into its own, ideal for 12 bar blues and carrying an overdriven signal too. The bridge position moulds both tones together perfectly. What we’re trying to say is that there’s a reason that the pickup ensemble hasn’t changed since the original Strat… they work, and sound awesome. You can also pick up both the Strat and the Tele with humbuckers in the bridge position, which is a testament to the popularity of the killer rhythm tone that both the Strat and Tele provides. Admittedly, the Strat gives off a ‘beefier’ tone due to the additional pickups and the specific wiring within, however that’s not to say that the Tele doesn’t carry its own in the pickup department. Neither guitars give off a heavier tone than a humbucker driven model, such as a Les Paul or model with EMG’s. A standard Telecaster will come with two pickups; one single coil at the bridge position, and one at the neck. You might be wondering what the metal ‘cover’ on the pickup at the neck position is… It’s a closed metal pickup cover. 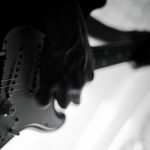 The neck position is infamous amongst guitarists by giving too much of a ‘thin’ tone, however this tone is iconic in genres such as country, rock ‘n’ roll, and with players that lean towards finger style playing. Plus, the bridge pickups adds a surprising punch into the tone, and it’s a depth that you wouldn’t expect from just two pickups. All in all, we have to say we prefer Stratocaster pickups when compared to the Telecaster simply based on versatility and the options available when tinkering with tonal possibilities. The standard Stratocaster bridge, when combined with a tremolo system, comes with a 6-saddle synchronised tremolo system. The system keeps tension stable and, when combined with a strong neck and sturdy nuts which keep the strings locked down, the Strat tremolo systems do a great job in ensuring you guitar does not (often) go out of tune when having some fun with the whammy bar. 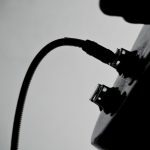 Inevitably the guitar will go out of tune after continued use, however with the Strat you don’t have to worry about changing strings on a guitar with a Floyd Rose locking tremolo system (which can be a mammoth task to many beginner guitar players). On most standard Strat models, the control knobs come in a subtle eggshell white, along with a matching eggshell pickguard. The finish on all hardware is the standard chrome, but let’s be honest, who wants to mess with the original styling by changing the colour of a few bolts around? The Tele is noticeably much more ‘basic’ in its hardware approach, in the sense that there is more unfinished metal on the body compared to the Strat, which is a ode to its original build. The pickup selector is a retro barrel style, in comparison to the much smaller eggshell selector of the Strat. The pickup selector itself has a supporting metal plate, along with the open metal bridge pickup casing. All control knobs are also consistent with the chrome styling, and we think they look awesome. 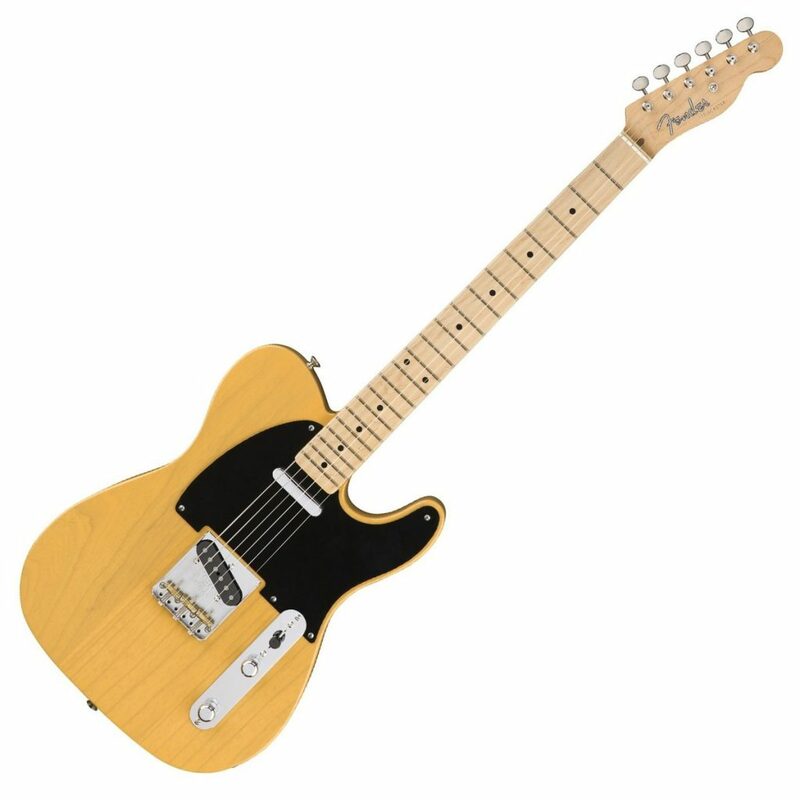 If you’re a fan of the retro, minimal style, then go for the Tele. If it’s modern styles with a classic edge on a ‘thicker’ guitar with more of a seemingly ‘together’ hardware finish, go for the Strat. At a glance, the necks on both the Tele and Strat seem the same. And yes, they do share similarities. Both necks have a 9.5 inch radius fingerboard, and both are crafted out of resonant maple. Now, there will be version that are different, but for the purpose of this comparison we’re comparing popular, standard american models. The difference in neck types comes with the profile of the neck, namely the neck shape, of which Fender has 6 common varieties. There is the U Shape, Soft V, Oval C Shape, Hard V, Modern Flat Oval and Medium V.
The Stratocaster commonly has a ‘Soft V’ neck shape, which is much more chiselled from the outside, in comparison to the ‘U’ shape of the Telecaster. Choosing the right neck shape out of the two comes down to your playing style, and the size of your hands. If you like to play with your thumb over the top, the arguably more ‘even’ shape of the U neck of a Tele allow for movement of your thumb much easier, especially at lower positions where you would struggle with thumb reaching on a Strat. The slimmer neck profile of a Strat helps for speed and those tricky chords, and is more suited for fans of lead playing. The Stratocaster commonly comes with an alder body, whereas Telecasters are usually made out of ash. If weight is your concern when comparing the two, we honestly haven’t noticed that much of a difference between either. Generally, the alder bodies are used for Strats because the grain is light, and an effect to the body can be easily applied, whereas the Tele’s have a glossier finish and suit a more natural tone with an ash body. Many players will agree that the ash body of the Tele, coupled with the minimal pickup arrangement give it its signature ‘twang’, and the alder body of the Strat is better for carrying tone at the higher-end. If you’ve seen both guitars before, you’ll already know the iconic shapes of both headstocks. It’s also no secret that the Stratocaster has a larger headstock than the Telecaster. A common argument exists amongst guitarists who think that a heaver headstock means a heavier tone, particularly for dropped tunings and when playing with heavier string gauges such as 11+. We haven’t seen any concrete evidence for this, and love the headstocks on both guitars… It’s just a matter of personal preference on which you can choose. In all honesty, we love both guitars. A lot of what you choose is down to the guitarists you love, preferred genre, the money you have available to buy the guitar, and you’ll even be making decisions based on which model simply looks the nicest to you. We’ve summarised this comparison with a pros and cons list of both guitars, so you can make an informed decision on which is the best for you. 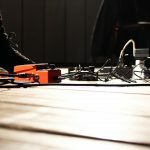 Recommended for: Players who lean more towards playing lead guitar, and who are looking for a versatile tone from within the guitar (and not relying on effects pedals). The tonal versatility of the third pickup really gives the Stratocaster the edge of the Telecaster when it comes to creating a unique sound. Recommended for: Players looking for a unique out-of-the-box sound, and for lovers of the signature country ‘twang’ of the Tele. Suited more for rhythm players who appreciate the single coil tones and higher-end output which the guitar offers. No guide is complete without answering some FAQ’s. Here are some common questions we’ve had over the years relating to Strats, Teles, and the Fender range as a whole. Drop us a comment below if there’s anything you’d like us to answer. Can I change the headstock? You can modify any part of the guitar that you wish, however we would recommended finding a style that you like when purchasing the guitar to save you having to make huge changes such as a complete neck change (which would allow you to then change the headstock). Can I put humbuckers on a Strat or a Tele? Sure! Many players who wish to play a distorted tone or need heavier tone for certain genres but still want the feel of Strat or a Tele often opt for humbuckers over the standard single coils that both models come with. One of the most iconic metal guitars is actually a Telecaster, which is the Jim Root signature Telecaster model. equipped with EMG humbuckers to carry his heavily distorted tone when shredding or playing huge rhythm section lower down the neck. What is the best out of the two for beginners? Honestly, we’d argue that neither of the American standard ranges are best based on their price range. 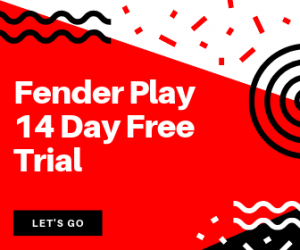 Fender do however offer the quite frankly criminally underpriced Squier range, which also commonly comes with starter packs for beginner guitarists which include an amp, strap, lead, plectrums and anything else you’ll need to start your guitar playing journey.